The lady Trojans have hit an impressive stride fresh out of the gate for the 2019 softball season. A winning streak plowed the girls right through the all opposition in two out-of-town tournaments while the Quincy field stood buried under a foot of snow. During the Anderson Cubs Tournament early this month, the Trojans came out on top of Hamilton 9-4, Chester 8-4 and R.A. Long 6-3. 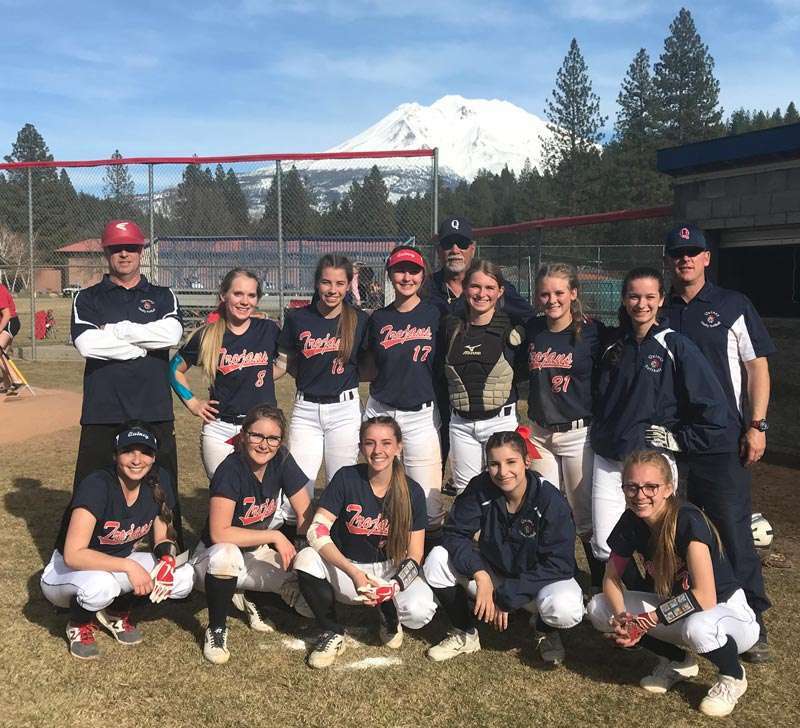 “The first tournament day two was rained out so there was no winner, just pool play,” said Trojan head softball coach Mike Yalung. A week later the QHS girls played in the College of the Siskiyous High School Varsity Tournament and nothing could stop them. 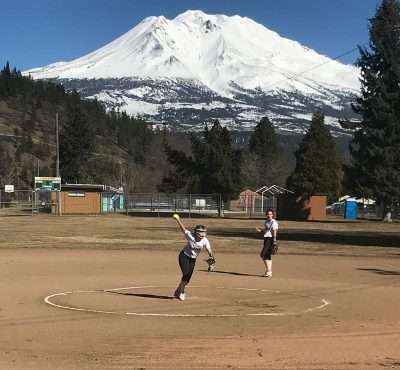 They won Ferndale 7-4 and Mount Shasta 17-0 on March 15. The following day they beat Los Molinos 13-0 and Burney 14-0 to take home the first place trophy. The QHS ladies travel to play in the Biggs Tournament tomorrow, Thursday March 21. They will face off against Hamilton and Pierce on the first day of the competition and return March 22 and 23 if their winning streak continues. A few days later, the Trojans play a doubleheader in Oroville against the Tigers Tuesday, March 26. The first home game of the season follows in a rivalry match against the Portola Tigers on Tuesday, April 2 at 4 p.m. This also marks the first league game of the season for the Trojans. A word to the wise: Watch these girls. There is surely something very big brewing on the Quincy softball diamond in 2019. 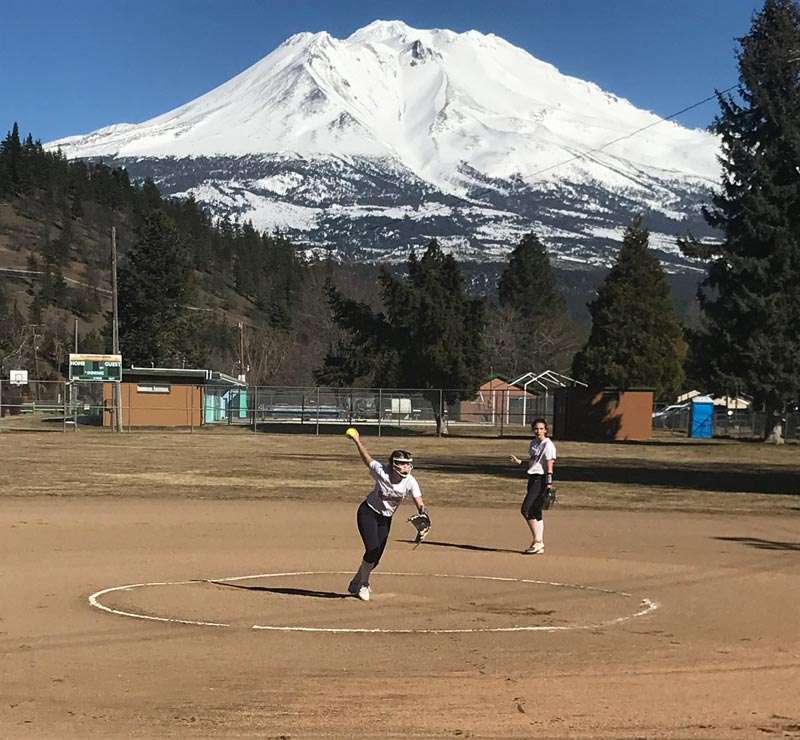 QHS Caitlyn James winds up firing one over the plate as the Trojans win the first place trophy at the College of the Siskiyous High School Varsity Tournament. 4/12 Maxwell 1 & 3 p.m.
4/30 Modoc 1 & 3 p.m.